THE RETURN OF THE KING. Being the Third Part of The Lord of the Rings. Part three of J.R.R. 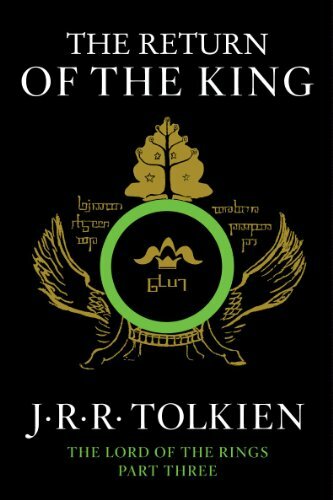 Tolkien's epic adventure The Lord of the Rings, now featuring film art on the cover. As the Shadow of Mordor grows across the land, the Companions of the Ring have become involved in separate adventures. 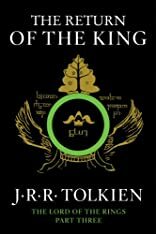 Aragorn, revealed as the hidden heir of the ancient Kings of the West, has joined with the Riders of Rohan against the forces of Isengard, and took part in the desperate victory of the Hornburg. Merry and Pippin, captured by Orcs, escaped into Fangorn Forest and there encountered the Ents. Gandalf has miraculously returned and defeated the evil wizard, Saruman. Sam has left his master for dead after a battle with the giant spider, Shelob; but Frodo is still alive -- now in the foul hands of the Orcs. 10/20/2012 L.A. Matthies said: An Amazing tale of friendship!